Details about BMW M4. Olive Green. Hot Wheels ~ 2015. 24/250. CFL31. NEW in Blister Package! BMW M4. Olive Green. Hot Wheels ~ 2015. 24/250. CFL31. NEW in Blister Package! WHITE BMW E36 M3 Race Car. HW Race ~ 2014 169/250. BDD07. New in Blister Pack! 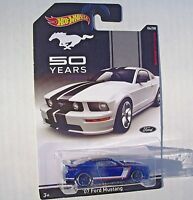 Hot Wheels MUSTANG 50 YEARS '07 Ford Mustang 6/8 - NEW SEALED Blister Pack! BLUE Ford F-150. Hot Wheels 2018 FORD 7/8. GDG69 New in Blister Package! Custom '77 Dodge Van. 2016 Hot Wheels Art Cars. DHR90. New In Package! METAL Hot Ones. '65 Ford Mustang. NEW in Blister Pack! GREEN US Army Combat Medic Vehicle. HW City 47/250. CFH67. New in Blister Pack! 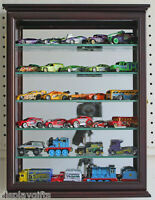 2014 Hot Wheels 166/250. GREEN Bump Around Bumper Car. New in Package! Hot Wheels HAPPY EASTER 1/8 ~ '69 Camaro Race Car #14 ~ SEALED Blister Pack!